Senior government officials from Solomon Islands, Kiribati and Vanuatu were inspired by their participation in the 3rd World Small-Scale Fisheries Congress to continue championing policy in support of coastal fisheries and communities in their countries. The officials’ participation in the congress was made possible by their home institutions with additional support from a project funded by the Australian Centre of International Agricultural Research and led by University of Wollongong, the Food and Agriculture Organization of the UN (FAO), FISH and a WorldFish collaboration with the Oak Foundation. “Now that I’m really familiar with the SSF Guidelines, I want to make sure that we [the Solomon Islands government] align our strategies and policies to the guidelines. In particular, I want to focus on uptake of community-based resource management, enable communities to have ownership of governance processes and ensure fishers have a voice in decision-making processes,” she said. Till now, the SSF Guidelines have not been featured prominently in the work plan of most Pacific Island countries. This is partly because of the many existing regional policies that address coastal fisheries, such as the 2007 Vava’u Declaration, the 2008 Apia Policy, the 2015 New Song strategy and Melanesian Spearhead Group road map (2015–2024). In Kiribati, national mandates also govern coastal fisheries, meaning that greater efforts are needed to streamline action, says Tooreka Teemari, Director, Coastal Fisheries Division, Kiribati Ministry of Fisheries and Marine Resources Development. “My division is planning to develop a coastal fisheries road map that details the mission and objectives of the various national and regional policies that exist. I’ll now be including the SSF Guidelines as part of this activity, so we can accomplish all the objectives of these national, regional and international policies,” she said. 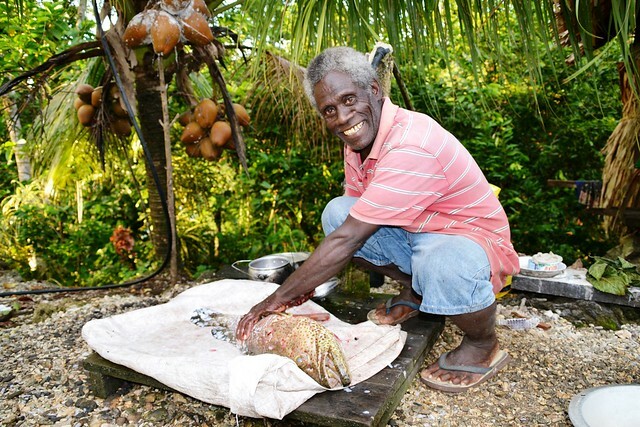 In many Pacific Island countries, fish makes up 50 to 90 percent of the animal-source protein consumed by rural populations, and coastal fisheries provide the primary or secondary income source for up to 50 percent of households. Yet coastal fishery activities—which are mostly part time and informal and happen in remote areas—are often not accounted for in national statistics, causing coastal fisheries to be overlooked in decision-making processes. Taking steps to improve capture of coastal fisheries data will be a future focus for Christopher Kalna Arthur, Acting Manager, Management and Policy Division, Vanuatu Fisheries Department. “When we have proper data, it enables proper decision-making, thereby making it easier to implement policies that better meet the needs of communities and fisheries. In addition, robust scientific, socioeconomic and economic data will help to show if we’re meeting the objectives of the SSF Guidelines or not,” he said. In Kiribati, Vanuatu and Solomon Islands, fisheries are dominated by the profitable offshore tuna sector, which generates significant foreign exchange earnings. 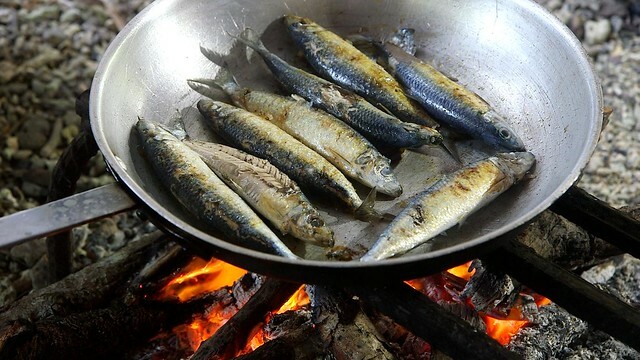 This causes coastal fisheries—which are less visible and profitable yet vital for food security, livelihoods and nutrition—to receive limited attention and investment by decision makers. New research by FISH, James Cook University and University of Wollongong—'Multi-scale diffusion and translation in Pacific Island coastal fisheries’—finds that national staff play a key role in influencing governments’ uptake and interpretation of policies such as the SSF Guidelines. “These domestic officials in charge of national policy implementation mediate what happens to a policy, whether altering, promoting, resisting or simply brushing it aside,” said lead author Dr. Andrew Song, Research Fellow with WorldFish and ARC Centre of Excellence for Coral Reef Studies at James Cook University. For Masu, participating with Arthur, Teemari and others on a panel at the congress focused on Pacific Island policy helped to draw global attention to issues and solutions within Pacific Island small-scale fisheries. “By raising the profile of existing regional frameworks, which aren’t being advocated at the global level, we can attract more supporters and donors to help the Pacific region to implement them,” she said. For Teemari, the congress inspired her to put greater efforts into creating a network of fisher cooperatives in Kiribati. “The aim is for the network to improve the fishers’ current activities and increase their income from marine resources, as well as create a recognized space for small-scale fisheries in Kiribati. The network could also participate in important meetings, like the congress, to share their experience, achievements and current issues,” she said. Coastal communities in the Pacific have high levels of reliance on fisheries. The well-being and resilience of these communities is tightly bound to their continued access to productive fisheries. There are a number of challenges, including intensifying resource competition, environmental degradation driven by climate change and land use patterns, and vulnerability to extreme weather events and sea-level rise. Finding the right mix of solutions, says Arthur, will involve addressing the needs and challenges of the diverse contexts in which coastal fisheries and coastal communities operate. “In Vanuatu, in the past we had not been advocating coastal fisheries enough. I want this to change, we need to start investing and raising the status of coastal fisheries,” he said.